A new online casino opened her virtual doors this year. The casino has the name Ridika Casino. We asked the owners about the background of the name Ridika. But all the owners told us that there is no particular reason why they use this name. They told us that it sounds funny and it is an easy to use name. When we enter the Ridika website we see that the logo is an Ice Bear. So the theme of the website is a winter theme. When we look at the Ridika Bonus we get a warm feeling because it is an interesting bonus for new players. Every new player at Ridika Casino receives 66 Free Spins. And you also receive 300% Bonus on top of your first deposit. On this page I am going to give you all the Ridika Bonus details. And you can also read a bit more about the casino itself. It is worth trying Ridika Casino because the casino gives you an interesting welcome bonus. With the Ridika Bonus you can claim a significant amount of extra play money and a number of free spins. Ridika Casino want to give all new players a warm welcome. It doesn’t matter if you are a small new player or a player that wants to play with high stakes. At Ridika Casino the welcome bonus is available for all kind of players. You can start with a minimum deposit amount of €20. Ridika Casino gives you 300% extra play money on top of the first deposit you make. So when you decide to give it a try with €20 you receive €60 extra from the casino. So you quadruple your money on 1 single deposit. With the deposit and the bonus money you can play all the available games at the casino. With the Ridika bonus you can collect a maximum bonus of €2.000. You receive this bonus when you make a first deposit of €650. So in order to claim the welcome bonus at Ridika Casino you need to make a deposit between €20 and €650. Straight after you made your deposit you receive the extra play money in your casino account. When you decide to use the Ridika Bonus you need to wager your bonus money 30x before you can withdraw your winnings. 30x Wagering is an average wagering requirement. It is not the friendliest one but we think it is acceptable. The 300% makes it interesting to try Ridika Casino. Especially when you are new to online gambling. The 300% extra play money gives you the chance to play more games with your budget. The 300% welcome bonus is not all you get when you join Ridika Casino. Every new player also receives 66 free spins on a Betsoft video slot. When you join Ridika Casino you receive 66 free spins in your account. And it is up to you on which Betsoft game you are going to spin the 66 free rounds. You only need to make a minimum deposit of €20 or higher. The 66 Free spins are worth €0,20 each. So you receive 66 x €0,20 = €13,20 to play a Betsoft Video Slot. When you decide to join Ridika and claim the 66 free spins you can only choose one of the available Betsoft games. At Ridika it is possible to try a few games in the Fun mode. In the Fun play mode you can try a few Betsoft games. When you find a game you like you can use your 66 free spins for that game. The Fun mode is perfect to try a few games before you start playing with real money. During your 66 free spins you can win real money. Every spin is a real money spin and when you win a prize you receive those winnings in your balance. After the last spin you receive all the winnings in your Ridika casino balance. This is now real money. Real money you can use to play other games at Ridika online casino. Before you can cash out your winnings you need to wager your free spins winnings 45x. When you win €10 you need to play at least 45 x €10 = €450 on the casino games before you are able to cash out the winnings. And you need to use your free spins within 24 hours after you received them. Otherwise the free spins will expire. Open Ridika Casino, register a free account and claim your 66 free spins here. The Ridika Bonus continues after you made your first real money deposit. You receive 350% Bonus when you decide to reload your casino balance. Make a second real money deposit and you receive 350% extra play money from Ridika casino. To qualify for this bonus you need to make a deposit between €20 and €600. The more you deposit the more extra play money you receive. When you deposit €100 you receive €100 + €350 = €450. And you can play every game at the casino with this money. Ridika Casino is very generous and they want you to feel welcome at the casino. With the first and second deposit bonus they give us a warm feeling. Even Ridika the Ice Bear cannot change that feeling. Ridika the Ice Bear invites you to join his online casino. And he wants you to visit Beartown with him. 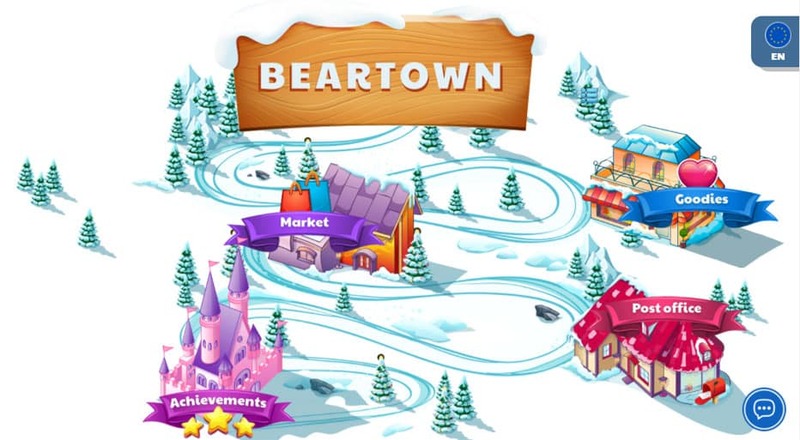 In Beartown you can collect interesting rewards and you can earn free gifts. At Ridika online casino you earn free coins every time you play a game. And the more you play the more coins you earn. In the local Bear market you can use your coins for rewards and free gifts. The more coins you earn the higher the rewards will be. And the bigger the real gifts are. In Beartown you can reach achievements. Each time you reach an achievement you get more coins. And when you complete an entire set of achievements (9 achievements) you move up a level. At higher levels you earn more coins and your rewards get better. Ridika says “Join the party”. It is time to play. Ridika is a fun and exciting online casino. You get the best games, best pay-outs and a serious amount of fun. Ridika Casino offers you over 700 different casino games. All the games are powered by regulated game suppliers. The casino does not have their own games. All the games you find at the casino are powered by international regulated gaming companies. So all games are frequently checked on reliability, pay-outs and security. When you play casino games at Ridika Casino you can be sure that you are threatened fair. And that your money and personal data is 100% safe and secure. At the online casino you can play video slots, classic slots, table games and live casino games. I like the live casino games at Ridika Casino. It gives you the real casino experience while sitting at the comfort of your own house. Open the live casino and you see a real casino table at a real land-based casino. Behind the table is a real dealer. You can even chat with the dealer if you want. The big advantage of live casino games are the low stakes. At land-based casinos the minimum stake on blackjack is around €10 per game. At an online live casino you can start playing with €0,50 per game. Open Ridika Casino and play a few live casino games with your Ridika Bonus. On our website you find over 100 different casino reviews. Every casino has his own Pros and Cons. Some casinos offer a no deposit bonus, others give you free spins and a few give you an extra high deposit bonus. Ridika is one of the casinos that offers an extra high welcome bonus. And that is just one of the reasons why we recommend this casino to our visitors. Underneath you find a few more reasons why you could give it a try at Ridika online Casino. We recommend players that never played at an online casino before to test casinos with free play money. There are a few online casinos that give you €5 free or €10 free cash when you join them. This is a free chance to try a few games with real money. You have no risk in losing any money but you still have the thrill. 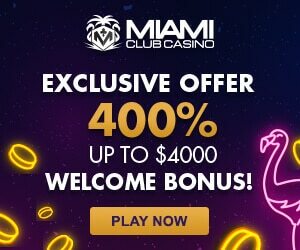 One Casino offers you €10 free play money when you join the casino. And LV Bet offers you €5 free when you register a free account. With the free cash bonuses you can win real money. At most casinos there is a maximum pay-out on free money. This makes sense because it is free. And an online casino can go bankrupt when you are extremely lucky with this free money bonus. Normally the maximum cash out on free money is around €100. In fact you have a free chance to win €100. I see no reasons to reject this opportunity. In the underneath table you find a selection of online casinos that offers you €5 free when you join them.